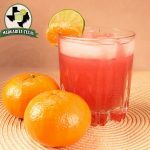 Do you want to a make a perfect margarita that will impress friends and family at a party or do you have the desire to create delicious margaritas to enjoy after a long day of work? 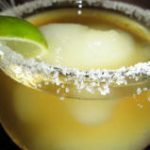 Understanding the ingredients that make a perfect margarita and the ability to adjust recipes to meet your personal flavor preferences are keys to making a delicious cocktail. Selecting the right tequila is the most important part to the creating the perfect margarita recipe. There are many varieties covering a wide range of costs. Blanco (Silver) – Blanco is not aged and its appearance is clear and transparent. Reposado (Rested) – Reposado is blanco that is aged in white oak casks from 2 to 11 months. 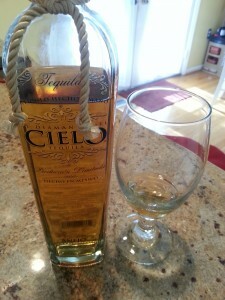 Oro (Gold) – Gold Tequila is generally not aged and is generally 51% agave and 49% sugars. Caramel, fructose, glycerin and wood flavoring are usually added to simulate aging. Añejo (Aged) – Añejo is blanco Tequila that has been aged in white oak casks for more than a year but less than 3 years giving it an amber color and woody flavor. We recommend blanco and reposado for margaritas as they are generally cheaper than añejo, which is typically for sipping. While gold tequila may be priced the lowest, it is not 100% blue agave (often 51% blue agave and 49% sugars) and not suggested as the quality is also on the lower side. Blanco tequila is commonly found in restaurant margaritas and works well to compliment all of the ingredients. 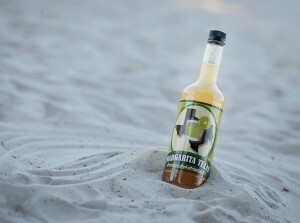 Reposado tequilas lend a slight sweetness and oak flavor from aging and is one of our favorites in a margarita. Another key component of the margarita is the lime base. Those sticking to historical versions will suggest only using freshly squeezed limes. Remember, not all limes are the same, some are more sour which can be balanced with simple syrup (an equal part sugar and water mixture) or agave nectar for hints of sweetness. Margarita or sweet and sour mix are also common in recipes used for replacing the lime juice. Most mixes contain some percentage of juice and are complimented with some form of sugar (read the ingredients as a lot of them use High Fructose Corn Syrup). Most margarita recipes call for a small amount of orange liqueur. Cointreau, Gran Gala and Grand Marnier are common examples and most are made using the peels of bitter and sweet oranges. Orange liqueur will add color and a subtle fruitiness to a margarita. 2:1:1 = 6:3:3 (50% tequila, 25% orange liqueur, 25% lime base). 3:2:1 = 6:4:2 (50% tequila, 33% orange liqueur, 17% lime base). 3:1:1 = 6:2:2 (60% tequila, 20% orange liqueur, 20% lime base). Creating the perfect margarita ultimately comes down to your specific tastes. Some prefer a sweeter margarita while others like the sourness from the lime. These flavors can be easily achieved by knowing what you are putting in the drink. Using these guidelines and ratios give you a great base to creating a margarita that you enjoy and can feel proud to share with others. It also gives you an excuse to invite a group of friends over to experiment making and sampling margaritas.